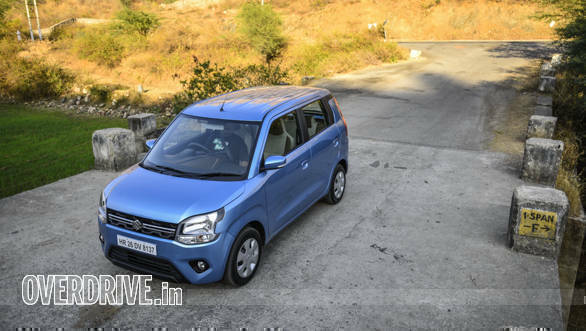 The new-gen Maruti Suzuki WagonR has been launched in India at Rs 4.19 lakh, ex-Delhi. 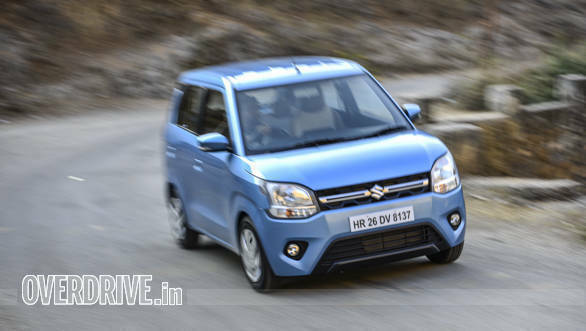 The new WagonR will be offered with two engine options now. The K10B 1.0 litre motor is one of the few major components that carries on unchanged with its 68PS and 90Nm. There will be seven variants: LXi 1.0L, VXi 1.0L, VXi AGS 1.0L, VXi 1.2L, VXi AGS 1.2L, ZXi 1.2L and ZXi AGS 1.2L. More details on the different features that are being offered as optional and standard equipment in our variants explained story. We have already driven the 2019 Maruti Suzuki WagonR and our initial impressions are LIVE. 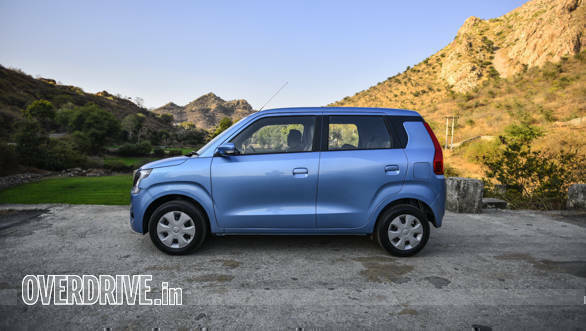 While the 2019 Maruti Suzuki WagonR does come across as a promising offering, here are the five things that we liked about the hatchback and three we didn't. 1. With a longer wheelbase and a wider track at the front and back the cabin of the new WagonR is noticeably larger than before. 2. Design has hints of the Ignis and looks new age with enough character lines that prevent the car from looking boring. 3. Customisation options seen on the higher spec hatchback from Maruti Suzuki have now filtered down to the WagonR as well, allowing personalisation that wasn't available on the WagonR until now. 4. 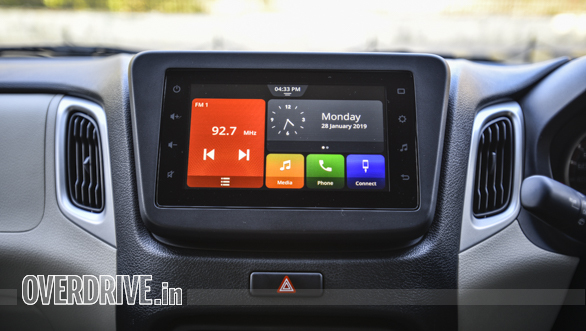 The new SmartPlay infotainment in the WagonR is currently more feature rich than its stablemates, thanks to the SmartPlay Studio app suite that features internet radio and its ability to stream news channels. 5. The availability of a 1.2 litre petrol engine in the line-up also makes the WagonR an ideal choice for those living in hilly areas or those ferrying upto two adults in the back seat. 1. 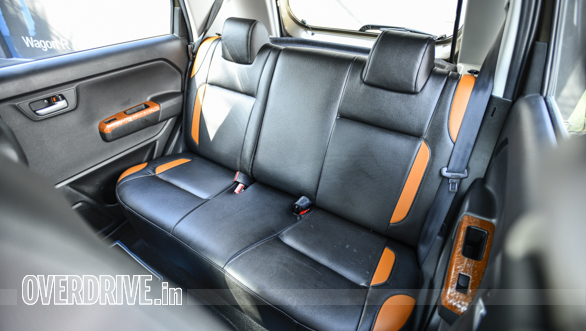 None of the seats in the new Maruti Suzuki WagonR have adjustable headrests. While the height of the front seats is still adequate to prevent whiplash injuries, the height of the rear seats with its integrated headrests is potentially dangerous for tall occupants in case of a rear-end collision. 2. 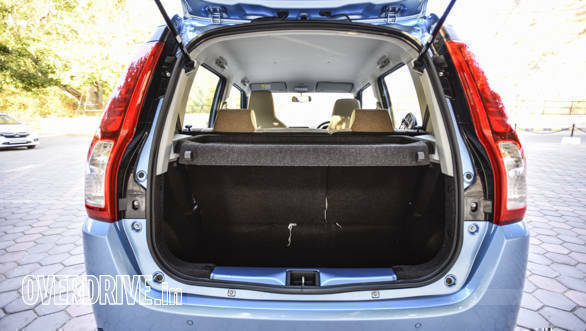 While the boot, which is double in capacity now, is a welcome change, its low loading lip also causes the leading lip of the tailgate to open quite high up which in turn makes it difficult to reach for shorter people. 3. 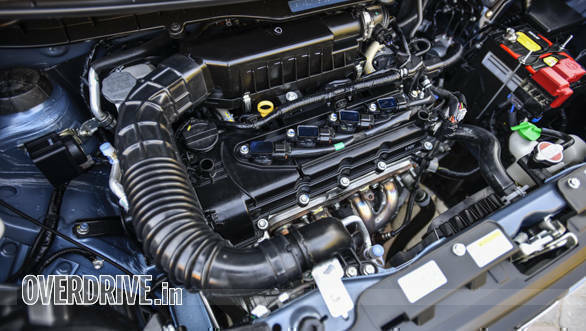 The stoerge Heartect platform and spiritedly 1.2 litre petrol engine are welcome changes in the 2019 Maruti Suzuki WagonR family but the skinny 155 section tyres and a fair amount of bodyroll make the car unnerving to drive around twisty roads - especially when travelling with a light load.